Gold Buckle Champions strives to keep people educated on the latest products and current equine health practices. Clinics presented by Gold Buckle Champion benefit the local youth groups.. High School Rodeo, 4-H, and riding groups of all kinds. Check the calendar often to find events in your area. Sign up for our newsletter at the right to keep updated. 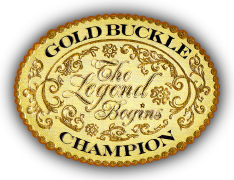 The ICHA Futurity & Aged Event was the inspiration for Gold Buckle Champions. Watch this video to see why.